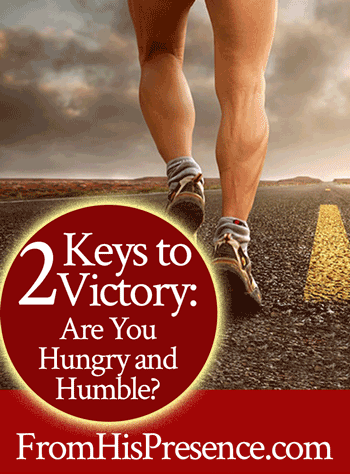 Two Keys to Victory: Are You Hungry and Humble? Beloved, do you desire to accelerate your growth in God? Do you want to see the complete victory that Jesus purchased on the cross for you manifest in your life? If so, there are two big keys to victory with which I want to challenge you today: you must be hungry and humble. As you know, I just returned from teaching a prophetic equipping/mentoring intensive in Dublin, Ireland. God moved so powerfully. It was unreal; it went beyond my wildest expectations. But you know what made it possible for Him to move so powerfully? Simply this: our mentees were hungry and humble. Hungry and humble. It’s a powerful combination. They absorbed the Word like a sponge. They talked openly about how they could apply the truths they were learning. They were willing to get up early, stay late, and travel in from other countries to be there. They received God’s Word. As we taught them the Scriptures, they were willing to dethrone the lies they had been believing in order to receive what the Scriptures say. They openly admitted it – of their own volition – when they had been believing lies. They decided to believe they could do what God said they could do. They submitted to authority. Nowhere was this more evident than when we did activation exercises in which they prophesied to one another for 45 seconds at a time–and had to move to the next person after 45 seconds. Arrogant prophets I have dealt with elsewhere refuse to shut up, believing their word to be more important than the instructions given and the progress of the entire training exercise. These precious people, on the other hand, were humble enough to understand that the spirits of the prophets are subject to the prophets, and that they were being tested in their ability to work together as a group and follow instructions. They passed the test! Every mentee was just precious, and we were so honored to meet them. But I just can’t get away from how hungry they were and are! They were hungry for the Word. They were hungry, desperately hungry, to be equipped and mentored. And because they came with that hunger, Father God and His Spirit moved in power in every one of their hearts. Holy Spirit encouraged them. He healed wounded places in each of their spirits that they did not know could be healed. He taught them so many keys they would need to know to move forward with their ministries. Because hunger is a breeding ground for miracles. When you are hungry for God–and hungry to see Him move–you will get what you expect. Your hunger opens you up to Him and allows Him to pour into you. And when you are humble as well, you submit yourself to God and His Word and all limitations are removed. Therefore submit to God. Resist the devil and he will flee from you. Draw near to God and He will draw near to you. Cleanse your hands, you sinners; and purify your hearts, you double-minded. Lament and mourn and weep! Let your laughter be turned to mourning and your joy to gloom. Humble yourselves in the sight of the Lord, and He will lift you up” (James 4:7-10). Expecting Him to show Himself to you. Expecting Him to move in your life. Expecting Him to drive away the enemy from your life while you remain sheltered under the shadow of His wings (Psalm 91). Expecting Him to reward you for seeking Him. Expecting Him to reveal more of His plans for your life, and expecting those plans to be good plans. Expecting Him to bless you. Expecting to walk in greater intimacy with the Lord than you ever have before. 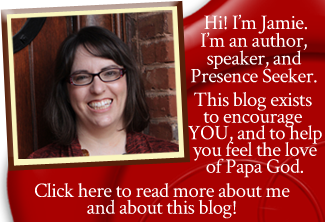 Expecting to be promoted and rewarded–yes, REWARDED. When you expect God to keep His Word like that, He can and will do miracles. Hungry and humble. Hungry and humble. Hungry and humble. Do those three words describe you? Are you hungry and humble? Are you seeking Him, hiding His Word in your heart, and believing what His Word says in its entirety? Have you fully submitted to His Lordship, and do you expect miracles from Him? Spend a few extra hours in the Word, even if you have to wake up at midnight to do it. Pray specifically for the Lord to increase your hunger and expectation. Ask Him to make you humble (a good thing to pray every single day of your life, no matter what). Are you hungry and humble? And if not, what will you do today to become that way? Is Holy Spirit urging you to rekindle your hunger and humility before Him? If so, please leave a comment below! Hungry and Humble! Yes I need God to miraculously move in my finances. JP Morgan Chase Bank. In Yeshua name. Praise God it is FINISHED! This so spoke to my spirit. I have been praying lately to draw closer to Father God and for Him to open my spiritual eyes and ears to enable me to recognize His leadings in my life. Thank you so much it really lightened my spirit.